From acclaimed writer A. 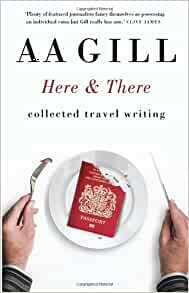 A. Gill comes this collection of entertaining travel pieces. Witty, acerbic and often moving, these pieces are far from standard travel writing fare. Touching on tourism, airports, world cuisine and countries including Madagascar, Iceland and Albania, Gill s perspective is often controversial and always unique. He ponders Italy s ability to turn organised crime into a tourist attraction, stumbles upon lobster-shaped coffins in Ghana, contemplates the Darwinian drive of bastardised dishes around the globe, explains why Johannesburg is the luckiest place in the unluckiest continent and considers the great black lake of tears that immigration leaves behind. With an introduction and extra piece written exclusively for this collection, Here & There showcases the very best of Gill s hilarious and insightful travel writing, and is a must read for anyone who is curious about the world we live in. Start reading Here & There: Collected travel writing on your Kindle in under a minute. A. 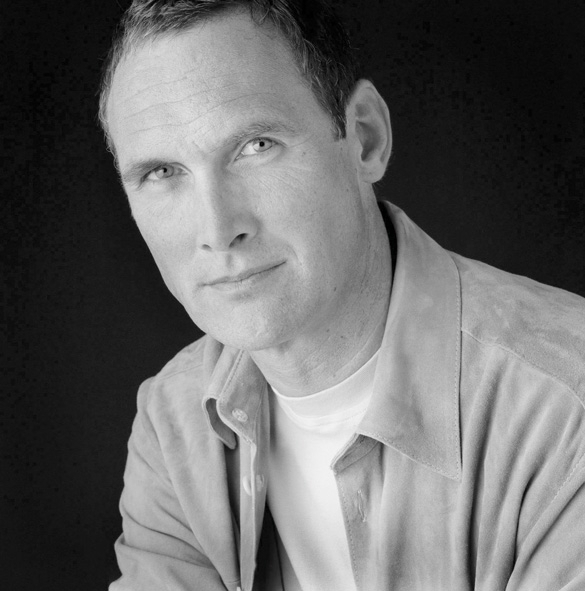 A. Gill is a writer and restaurant critic based in London, and contributes regularly to The Sunday Times and Vanity Fair. He also writes a monthly travel column for Australian Gourmet Traveller. I hadn't, to my recollection, read any A. A. Gill before starting in on the sample to this book during the Christmas sales. Little did I know I was in for a treat. Gill writes with a quirky sense of humour, candid honesty, and a distinct streak of the bizarre, and this book is almost compulsive reading. There's a lot of variety here, of countries and where the focus lies in any given column, and there is both laughter and thought provoking seriousness in this collection. The strength of this book is similar to Notes From A Big Country, in that the format of the book is a series of columns. The similarity does not end there - both authors can make me laugh - but Gill's style is more measured and thoughtful, and of course the sheer variety of subject versus Bryson's letters home from America is a vast difference. However, both books are very dip-in-and-out-able, and fans of Bryson could do worse than checking this collection out to have a taster of Gill's writing. I have seldom come across travel writing that I find as absorbing and entertaingly as Bryson's, but Gill (in a different way) has achieved just that. Overall, informative, illuminating, and thoroughly enjoyable - thoroughly recommended. 5.0 out of 5 starsDeliciously funny. No writer has made me laugh as much as Gill, fabulously funny, and deeply insightful, his lust for history certainly added weight to his reviewing credibility. The man knew how to utilise every corner of his vocabulary, and razored those who didn't meet his towering standards of quality. While not everyone will agree with his opinions, it's a fascinating journey from conception of his ideas to understand how he reached certain conclusions. 3.0 out of 5 starsNice short Essays. I'm a big fan of Gill when he writes in the S.T. and GQ so I thought I'd give one of his books a go. It is a collection of short essays so is very much like reading him in the paper. It may be that these essays were written for papers originally as they do become a bit samey after a while. Another thing I noticed is that he writes in a similar way to Jeremy Clarkson, they are good friends apparently, so if you don't like JC's style you probably won't like this. 5.0 out of 5 starsMore of Gills genius! Gill has the wit and knowledge to get to the heart of what it is to be that endangered species, a white first worlder, while well and truly skewering places and people with the most wonderful, precise, descriptive writing. I particularly like his contrarian descriptions of Italy, which resonate so strongly with my experience. His death is a great loss. interesting, amusing, both in what he likes and what he doesn't like; I would hate to travel with him, because he likes places and food that I would loathe (and he would loathe the places and food that I like) but that's a relief, because I don't have to go there, I can just slouch in the armchair and enjoy his perceptions. I loved this book. AA Gill takes you all over the world and home again with his unique writing style and clever insights. This is a real gem. I dont usually like short stories or collections but this was a really enjoyable read. AA Gill has strong opinions but hey are well presented and he doesnt care if you agree with him or not ! i enjoyed his irreverence and absence of PC-ness at times. A good read which I would reccommend.